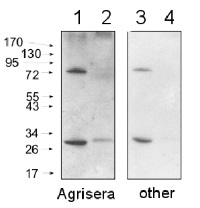 Agrisera is a specialist antibody producer with an emphasis on plant science and neuroscience. The plant antibody range includes antibodies against algal and plant antigens with a particular focus on plant cellular compartments antibodies, environmental stress antibodies, nitrogen metabolism and photosynthesis. Agrisera's neuroscience range includes antibodies for use in Alzheimer's disease research (including Beta Amyloid antibodies), and Parkinson's disease (Alpha-synuclein). 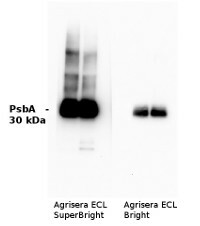 Agrisera also provide antibodies against bacterial, fungal and insect antigens too! 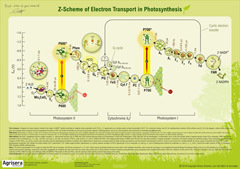 Agrisera have developed a range of antibodies for the study of Nitrogen Metabolism in plants and algae. Available antibodies include glutamine oxoglutarate aminotransferase (GOGAT) and Glutamine Synthetase (GlnA) including a global GLN antibody, which can be used across a range of different species. This growing range of antibodies are available in single vials or in larger volumes offering lower pricing. 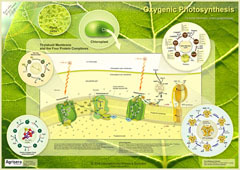 Click here for the full list of nitrogen metabolism antibodies.